Whenever a school year comes to a close I like to look back at the things our community did to grow, and equally important, to reflect on the places I wanted us to get to but we didn’t. No matter what either of these reflections bring, I’ve noticed that relationships with others help to frame the impact around what did or did not happen. Without a strong focus on relationships, the learning and growth around whatever it was that we accomplished; new initiatives, new technologies etc., are less meaningful. Thinking about these issues is normal when making transitions. Typically it’s when there’s a change and in my case, it’s to a new district. It’s easy to think back on the wins and gains, but takes so much more energy to dissect the areas that we didn’t quite get to and why. Leaving, I’ll wonder about what I’m leaving behind; will the steps forward our community took continue or take an entirely new direction? What isn’t in question are the relationships. Education, like many fields, finds people spending hours together, often more time with your colleagues than your family – they don’t call it a ‘work family’ for nothing! The fun, productive, and sometimes most challenging relationships are the ones that seem to stay with us in transitions. It can be the simplest of things that keeps people connected. The truly important part is to stay connected – relationships are what matter most in our work. Not only because we want the other “productive” stuff to move forward, but because they help to frame the important stuff – the sense of community, the sense of accomplishment, the feeling and knowledge that we can make a difference. I can’t control whether initiatives I worked on will move forward or come to a grinding halt. And really, I’m not sure that matters. By far one of the best parts of my job is connecting with others! What I can do is to stay connected to those I’ve worked with and continue to grow from their input and the conversations that will come. This quote is relevant as we talk about education, schools and best practice for learning. We know that there are great things happening in our schools every day and it’s important to celebrate these successes; but it is equally important to embrace the notion that we can always make things better moving forward. I’ve written previously about change and the inherent challenges. What’s interesting is how a completely different form of change I’m currently experiencing is so vastly different from my previous experiences and yet the process hasn’t gotten much easier – it feels the same. Perhaps what’s emerged for me then, is a better understanding of the emotional stages that change brings. There are likely hundreds of theories on change and I certainly don’t think what I have here is anything new or earth shattering. My editor/critic (wife) assures me of this! My observation is that there appears to be four main stages that people move through during change. These four stages seem to occur no matter how much lead-time or pre planning is put into place. 1) The Introduction – the idea is introduced and there are two groups who emerge: early embracers, and a group in denial wanting to protect “the way we have always done it”. Sometimes in this latter category are those who verbalize support, but cling to old ideas and ways through their actions. 2) Reality of Change – the reality of change pushes people into a state of active resistance or acceptance. In my experience those resisting are far more visible and vocal than those who are waiting out this phase of disruption. The longer in this stage the less likely it is that change will stick. 3) Acceptance – people realize that change is happening and they begin to stop thinking of the old ways and what is lost. This could be the longest stage and may not have everyone 100% on board. 4) Production – Once the majority of people have accepted change, we can begin to see the positive gains that were envisioned back during the introduction stage (and usually some unintended gains as well!). The process can be rocky. During, conversations can be difficult. My current Principal has taught me that as Administrators, if we can’t hear the word “no” then the word “yes” is meaningless. She is very wise and this is a meaningful phrase. So I’ll repeat and hope some of you pause for thought – ‘if we can’t hear the word “no”, then the word “yes” is meaningless’. When working through conversations that begin with “No”, “I can’t” or “I won’t” and even the non-verbal cues that are telling us ‘no’, it’s important to remember that someone is working through one of the stages above and we need to work with them wherever they may be along that continuum, not necessarily where we want them to be. We recently offered an opportunity for Department Heads to discuss innovation, technology and the future of education with a well-known educator visiting our district. In follow-up to this successful event, we put out a call to solicit interest from the rest of our staff for a second visit in the spring and I was expecting a similar level of interest. Having read his work, followed him on Twitter and seen him speak, the response I expected was an avalanche of RSVP’s especially given that our school has recently taken on an integration of technology initiative. The first phase has included teacher’s receiving new devices and with those, a commitment to dedicated time learning how to use them. That said, the response and feedback we’ve received was surprisingly underwhelming. This move toward technology combined with the invitation and endorsement of his work left me wondering, what did we miss? technology plan? My next thought was, if we aren’t, then wouldn’t this event help to move us to a place where we are ready? Again, my question, ‘what did we miss’? The question has me thinking about different ways in which we can help people to feel more ready. I wondered if one reason for hesitation is around comfort zones – technology certainly has a way of pushing some to the boundaries of their own comfort levels. But technology isn’t going away. And so if that’s the cause, then we need to try and address these fears. Moving forward is an expectation within the realm of life-long learning – an expectation for educators. In an effort to try and ease concerns we’ve taken a few small steps. The first is to offer additional information about the presenter, including showing his TedTalk at an upcoming meeting. Hopefully this will help to generate excitement, a first step toward warming to the unknown. The second is to buy each person the presentor’s eBook (also an opportunity to see some of the diversity of their new devices). We’re making an assumption that people will read it, but given we still don’t know what we missed, are taking a gamble that this will be a solution. Probably the most important, is to talk about the ‘why’ of this event and expectations. To let people know that there is no caveat or expectation to come out of the presentation with a task to do. To let them know we are moving forward, but that our hope is to do it in a way that eases learning fears and to help each person embrace and move forward with technology in a way they may not have thought about previously. To show them how it can help rather than be a hindrance. That the unknown doesn’t have to be difficult. That technology can be fun and not as overwhelming as it may seem. This is all fine and well, but it’s a multifaceted dilemma. If we succeed in any of these, then we are a step closer to success. Without knowing what we missed, we don’t know if our solutions will help to resolve the problem. So then I guess one of my final thoughts is this: As leaders we always need to step back and carefully consider the feedback we are given. While considering this, it is sometimes our role to continue to push our organizations forward. Letting people know that we trust they are ready, even if they don’t know it yet themselves. Sometimes we all just need to be pushed a little. Ready, or not. Meet the Teacher Night. My own memories as a (very) young student are of excitement, especially if I believed my teachers had something great to tell my parents, to trepidation for reasons that belong in another blog! In my professional experience, meet the teacher night is meant to be an open showcase where parents can put a face to the name that they’ve (hopefully) heard in response to the daily question, “what did you do at school today?” What most kids don’t realize is that this is a night that can also be filled with a great deal of anxiety for both parents and teachers. Having a daughter who has transitioned to High School this year, I attended the open house at her school. I have been to many previous open houses throughout her Elementary days and although I would occasionally walk away with questions about things that the teacher said, I always told myself that Elementary was different and that I should wait and see how things unfold. This year I walked away from her open house and found myself questioning things that don’t align with what is considered best practice and I am struggling with the best way to approach her teachers about these concerns. As a Vice-Principal, these types of conversations about moving learning forward happen on a regular basis. Sometimes teachers approach me and other times I initiate, so I know how to talk about this topic – from a parental perspective, I’m now struggling with the ‘how to approach’ the conversation that seems to be problematic. Having talked to others, I don’t appear to be alone in this. If parents who are educators have a difficult time raising concerns with their childrens’ teachers, then how can we make it easier for the parents who may be less familiar with the system? Are we doing enough at our Open Houses to welcome questions and does our community leave with the understanding that we are always open to questions in the future? If the answer to that last question is no, then why do we continue the practice of the Meet the Teacher Night? Is it because we have always had it? As a parent myself, I feel there is value in the ‘face to a name’ exercise. So then, what changes do we need to make moving forward? It’s been just over a week since I returned from the Apple Distinguished Educator Institute in Austin, Texas. Many family and friends have asked me how the experience was and what I learned while I was there. The challenge has been that I haven’t felt like I’ve been able to articulate everything that I experienced. Jenny Grabiec (@techgirljenny) curated a collection of reflections written by other ADE’s and Alumni, who have described the events of our week together. This was a good summary for some of what I’m trying to process, as this collection of blogs describe exactly what the week looked like. While the Institute certainly shared characteristics of conferences I’ve attended previously, it was far more than even my best experiences to date; The facilities were a hybrid of hotel conference and post-secondary seminar rooms. The break-out sessions were collaborative with time to learn from presenters as well as share with other attendees. And every day there was flexible time to work with others on shared interests. There was a great deal of training on how to better and best integrate technology, specifically Apple technology, to create better learning for students, but it was not about training any attendees. It was about making connections and finding others with shared interests based on people’s personal expertise and experiences. I guess the best way to describe my week is an experience. A professional learning experience unlike any other I can remember, because the entire week focussed on our individual creations; Each member was challenged to produce content to be shared with others. This content is not just anything – it is narrowed to what we believe is our “One Best Thing” in education. We spent the week fine-tuning what we would produce and this led to conversations with others, including experts, ranging from photography to design. I experienced the feeling of being treated like a Rockstar for the week with personalized service and a team of support that ensured I had everything I needed. 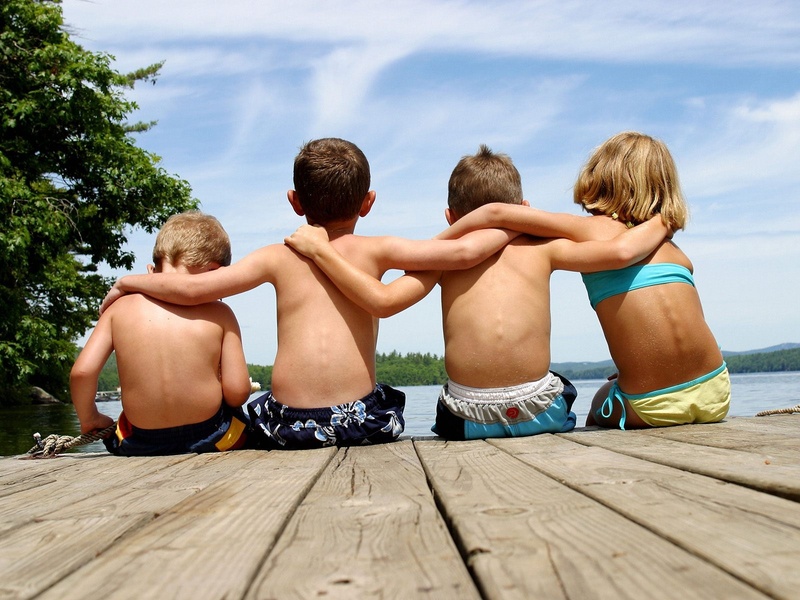 And perhaps the most important experience was that of the creation of new friendships – the kind that unite people with a unique connection instantly because of what they share in common. It’s difficult to put into words all of the things we did during the week. The best example of how powerful this experience has been can be summarized by the fact that a full week later I find myself awake in the middle of the night, head swimming, still trying to process all of the learning and further narrowing my “One Best Thing”. Just getting back from a weekend at the Calgary Science School for the 2nd edition of ConnectEd Canada. While I have participated in a few EdCamps and organized some local ones as well, my head is swimming as this was one of the top conference style learning experiences I’ve ever participated in. Educator collaboration has always impressed me, but this weekend it was unconditional collegiality that blew me away as educators from across the country shared, debated and collaborated on how to move education in Canada forward. This weekend was the Stanley Cup of EdCamps. My challenge now that I’m home and excited to bring a lot of what I learned back to my district, is to filter where and what to embrace first. Change doesn’t often happen overnight and it’s difficult to know where to start; how to bridge the gap between all that was discussed and debated, get buy-in from my colleagues locally and then to actually implement and move forward with some of those ideas. 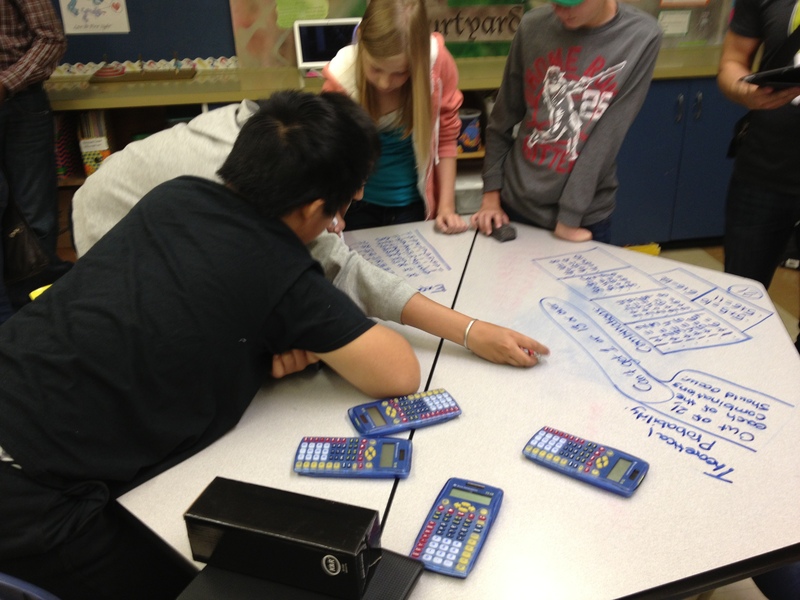 For today, I want to focus on the host location and the amazing learning environment that has been created at the CSS. To host this event, the Calgary Science School graciously opened their doors to 300 educators from across the country. There are several things that make this gesture so impressive. The first is that Friday was not a Professional Day. On this regular school day, student leaders toured us around, teachers opened their doors to us, and students remained focused on their learning – all conducting business as if we weren’t even there. 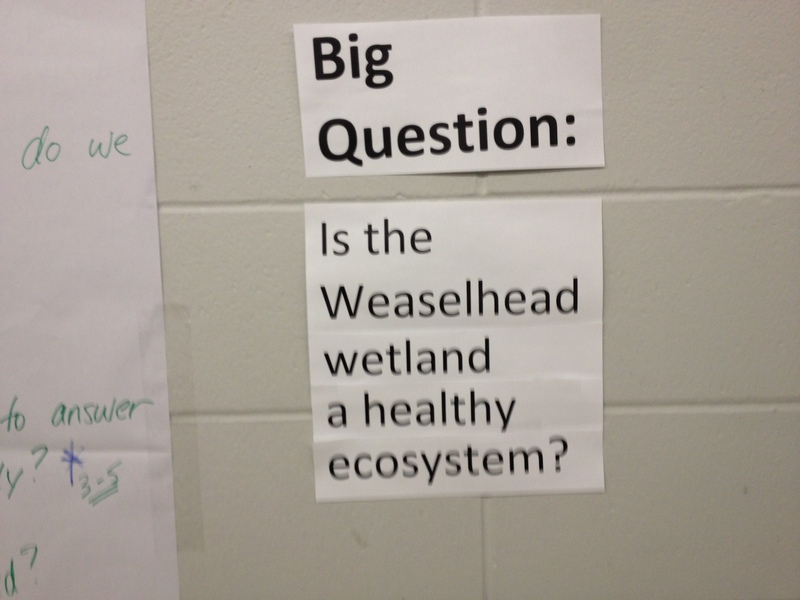 This question was used as part of a Science unit and the students explored the nearby Weaselhead park to find the answers to their Big Question. The school does not just focus on Sciences despite the name. A similar approach is taken in Humanities and Math as well. Teachers promote a collaborative approach to problem solving – a simple yet effective way to have everyone engaged in the activity. The second piece that stood out for me was the open concept of the school. The times I have seen something different happening have always involved a physical structure that was designed for that type of learning. In this case the CSS is housed in a Traditional public school. Nothing fancy or high tech about the actual physical structure. What is open…are the doors. Every teacher had the door to the room open and I was told that this is always the case. Teachers view themselves as Learners and they share their stories with one another. There is an open invitation to see what is happening in other rooms. The Administration supports this model – even the Superintendent and the Principal share an office! What I also found impressive was that the CSS has worked toward cultivating a culture of risk taking. Whether it is teachers trying something new, students working their way towards an answer or the parents registering their children in a very different environment than the school they went to, this school community embraces risk taking. One teacher shared his story explaining that he was told by his Principal – ‘the more mistakes you make, the more we will be there to support you’. This supportive environment thrives because the cornerstone of the building is relationships. I have only glanced over some of the major tenets that make this school the huge success that drew 300 educators from across the country to see it. When I came home tonight there was a Twitter Chat and the topic was Inquiry in BC schools. Reforming our schools to this style of learning is gaining momentum. What I learned from my visit is that we don’t need to wait for others to allow us to make these changes. I’d encourage any teacher to begin experimenting because this change lies within the people in our communities. 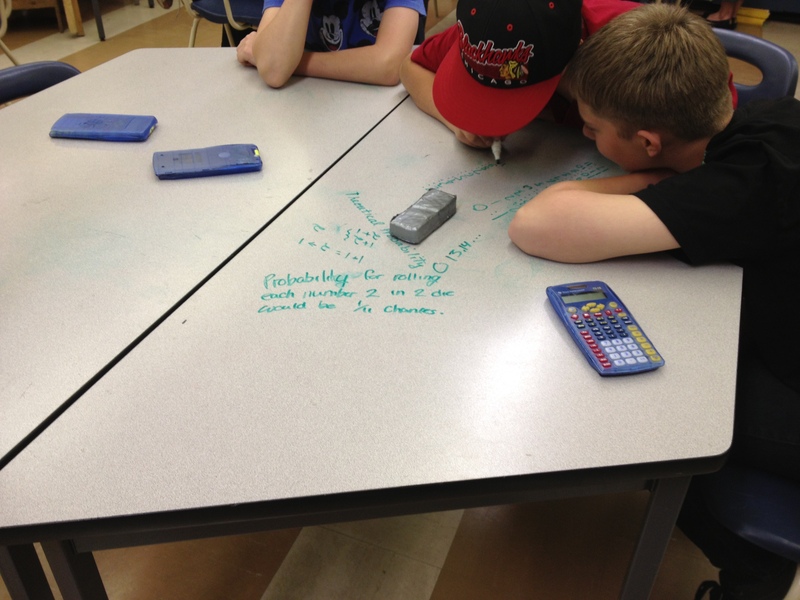 Sharing both our successes and challenges with others helps reflection and learning. If we want to learn and get better, we need to try new things, take risks and trust that those around will support the efforts to make the learning in our schools more effective. I was so inspired by what I saw that I am still processing everything – this post can’t do it justice. But I am also hopeful that sharing these stories will help move our thinking forward. Friday morning making a cup of coffee, the blinds were opened to another wet and grey Vancouver day. I was tired. There were a lot of meetings scheduled and it was the end of a long week at a time when stress in schools is high. For staff, it’s the feeling of pressure to cover the material they want their students to explore, coupled with the uncertainty surrounding budgets and planning for next year. For students, they are well into their final term of the school year – for many kids the stress is from the uncertainty of leaving the K-12 system which can drive some to make interesting choices; ones they may not normally make. For me, my fatigue was also compounded by my teething 6 month old daughter and her restless nights. Before heading out the door I caught one more smile from my little girl and it brightened what had felt like was going to be a dreary day ahead. Going through the mental checklist of things I needed to do, it occurred to me that I had until the time I arrived to put my best, most positive self forward and I questioned why? Others would understand if I responded to their inquiries/pleasantries with “I’m okay”. People can’t be “great” every time you ask them can they? By not responding honestly, or by “forcing” myself into a good mood, am I being fake and presenting as someone I’m not? The more I thought about why it’s important to be a positive person, the more I was reminded that this is part of my role as a leader. If I can’t find the great in every day in our building, how can I expect others to? As leaders, we’re expected to lead by example where possible and a positive attitude is an important part of the culture we want in our schools. Many years ago working for a resident hockey school we would get to the 9th week of the summer and remind ourselves that although we had been there for 8 previous weeks, it was the first week for the kids. This sentiment has not escaped me as I see the ebb and flow of a school year. There are times when stress rises, behaviours spike and the understandable response would be “Is it Friday yet?”. As I drove to work Friday I was reminded that this is not who I am nor who I want to be. Adults and students alike deserve a happy workplace with a positive culture. 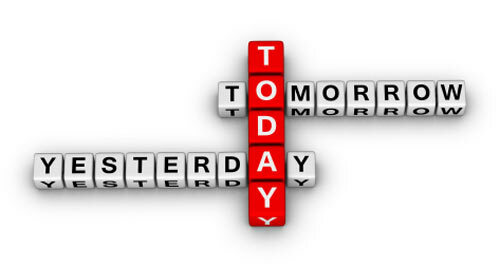 As leaders, if we don’t recognize what a great day it is to be at school – we can’t expect others to and really, every day should be the best day to be there. When I got to school and that first question came to me – it was easy to answer – I was great! And then at the end of the day, when I arrived home, after I had unpacked my day, got through the meetings and laughed at a few of the situations that required my intervention I walked into the house. 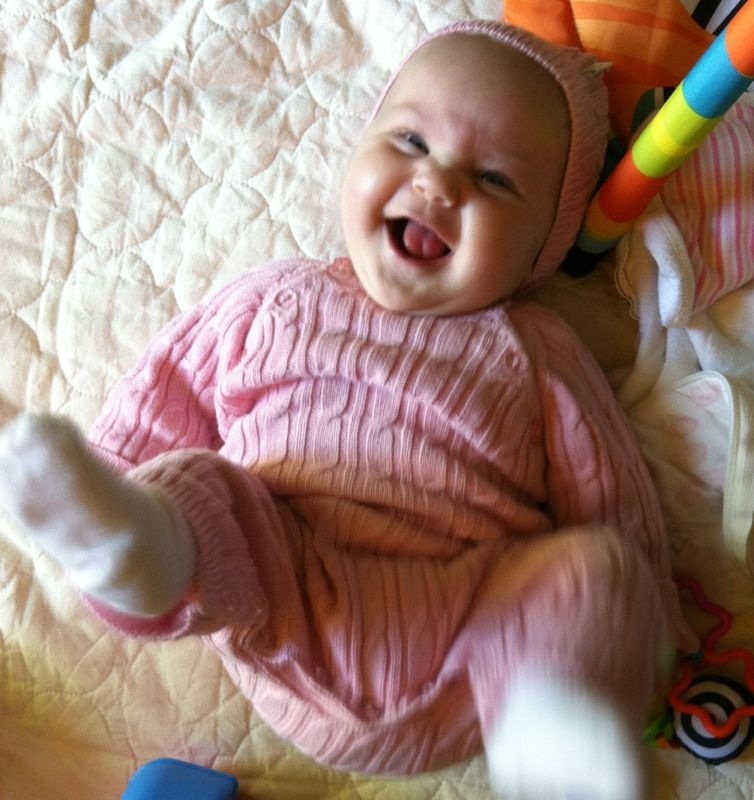 I was greeted by my wife and our daughter, cranky as that first tooth is cutting and she was still smiling. I didn’t need to fake anything – it was a great day.